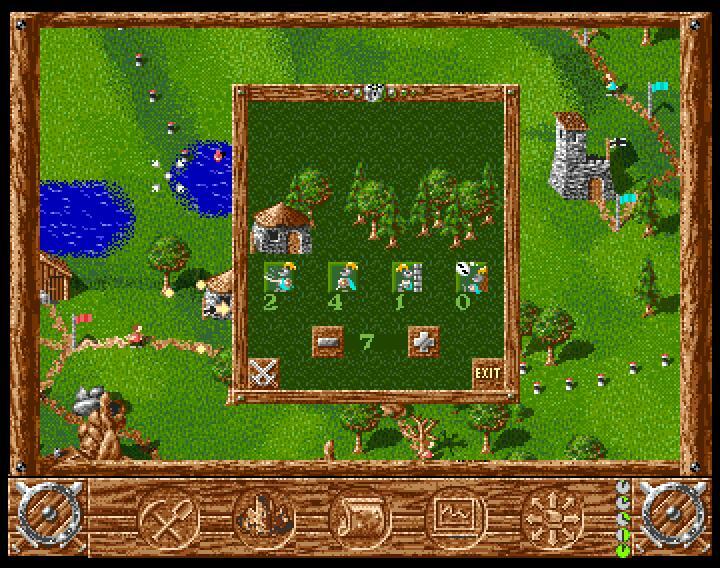 The Settlers is a genre favourite for a lot of retro gamers and Amiga aficionados, and especially me, it remains one of the few games on the Amiga I can still play for hours and always find it a fresh and enjoyable gaming experience. The game falls into the familiar ground of ‘god simulations’ where you control the hearts and minds of the people and pretty much everything they do. 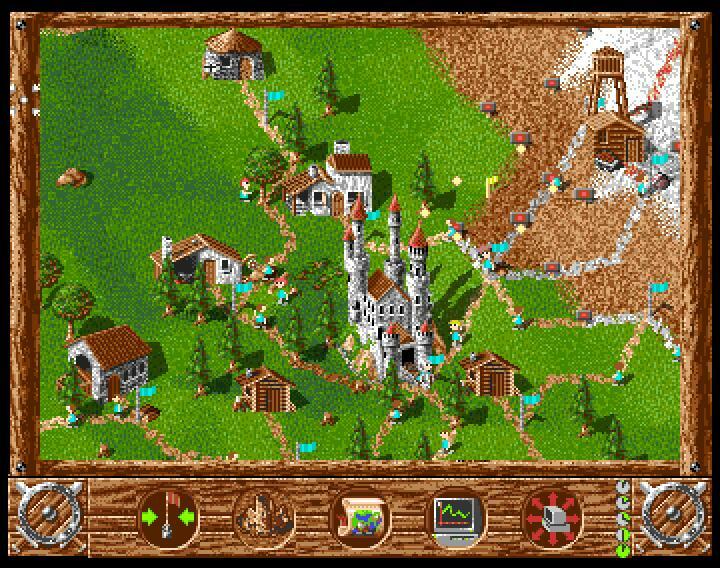 Other games like The Settlers include Populous and Mega Lo-Mania, and if you then combine these with games like Sim-City and Civilization you get a good picture of what this game is about, just with extra pretty animations and an awesome intro sequence thrown in for good measure. The game can be played in single player mode, where you square off against a number (up to 3) of computer controlled opponents, from a choice of 10 suspicious looking characters. The difficulty of the game can be set by adjusting the amount of starting resources each player has, you can give yourself maximum resources and the computer minimum for the easiest setting or level the resources out to make it slightly fairer for all. The game menu has a few other options you can use to customise the game, if playing on the A500 you may need to adjust certain settings (especially sound effects) to get the best out of the game. You start by selecting a good place to put your castle, this holds all your settlers and resources, use a geologists report to begin with to find a good place with plenty of raw materials, coal, stone, gold and iron and place your fortress nearby. Locations rich in granite, lakes and trees are also good for basic building resources and food. 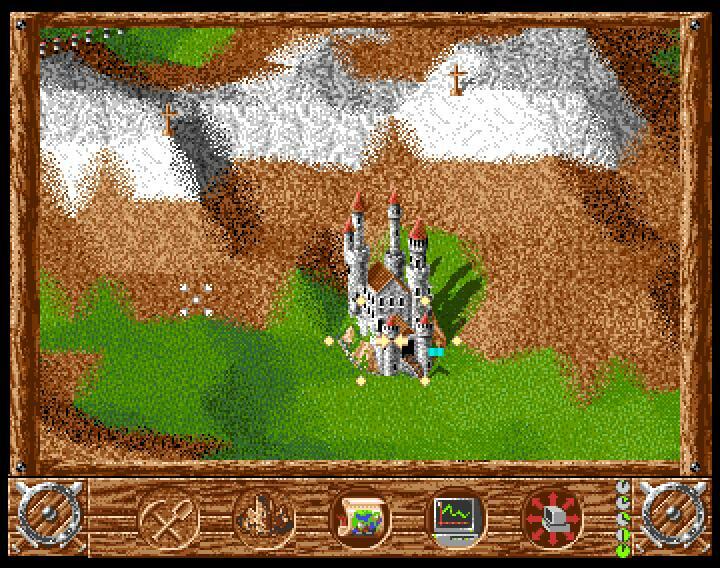 Once the castle is placed the game can begin, you will need to build paths to point your settlers in the right direction as well as to begin building structures. By using the mouse to highlight areas of the map you can see where to place certain types of structure, economic structures can be placed almost anywhere but military and advanced structures such as the blacksmith need to be placed on certain spots (these choices can be highlighted using a right/left mouse click combination on the building tab) Once a path is created and building placed the builder and settlers will begin carrying resources to the site (via flags) and begin building. You need to gather resources to expand your empire, food to feed the miners, settlers to work and build, and gold to pay the soldiers. In order to expand your borders you are required to build military style buildings (huts, guard towers and garrisons) on the frontiers of your empire, you’ll hopefully do this before the enemy expands theirs and burns down vital buildings. In order to win you must defeat the enemy settlements; this can be achieved by sending knights to the enemy and defeating their knights in one on one combat, eventually you’ll want to send them to the enemy castle, do this well and you can even cut off vital resources and buildings in the process by pushing your borders in certain directions. There’s certainly no room for complacency or alliances when facing the computer and saving before any major offensives or building projects is advisable. The game also has a 2 player option, demo mode, tutorial and missions setting, depending on the amount of free memory available (ah good ol’ A500) but I’ve never actually tried any except the tutorial, which is slow but really helpful to get to grips with the basics of the game. The intro sequence exceeds expectations and is the perfect introduction to the game, obviously the loading times ruin its flow slightly along with the disk swapping but it’s definitely worth seeing the whole thing through at least once. The animation is cartoony, bright and colorful and its fun to watch each settler at work, whether they are fishing, mining, chopping down trees or sword fighting. The geologist also does a little back flip if he discovers raw materials. 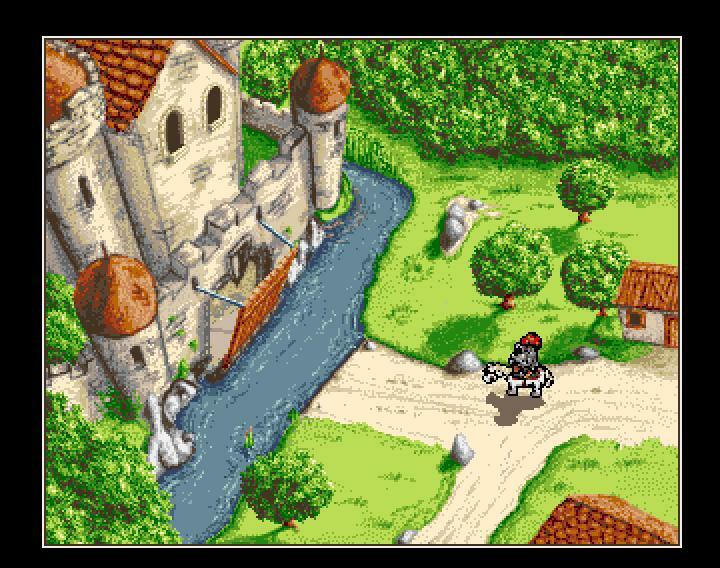 The sprites are well drawn and really add to the fun of the game. As mentioned before the sound is slightly limited on the A500, even with the obligatory memory upgrade to the full meg, this leads to some sounds not loading, it also limits the size of the maps. You usually get different sets of sounds occurring each time the game is loaded. 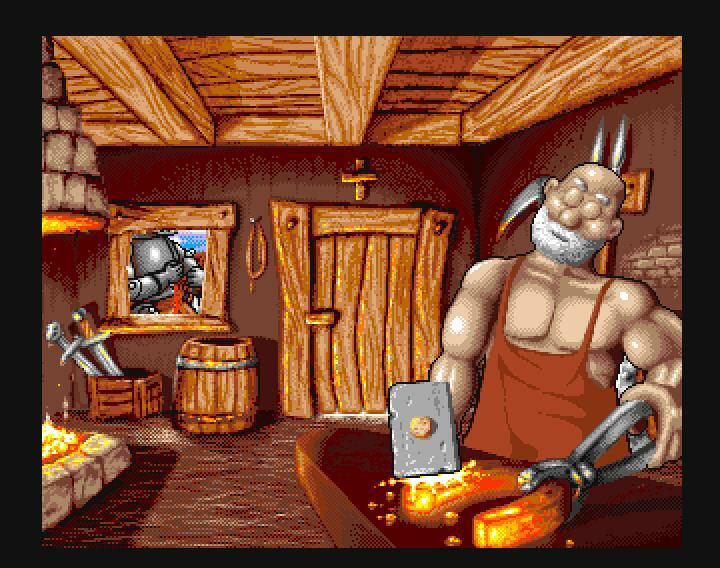 You still get some great sounds, (hammering, sawing, messages, swords clanging and the geologists “yippee”) but it is a lot more pleasurable to play and a more engaging experience with all the sounds available. 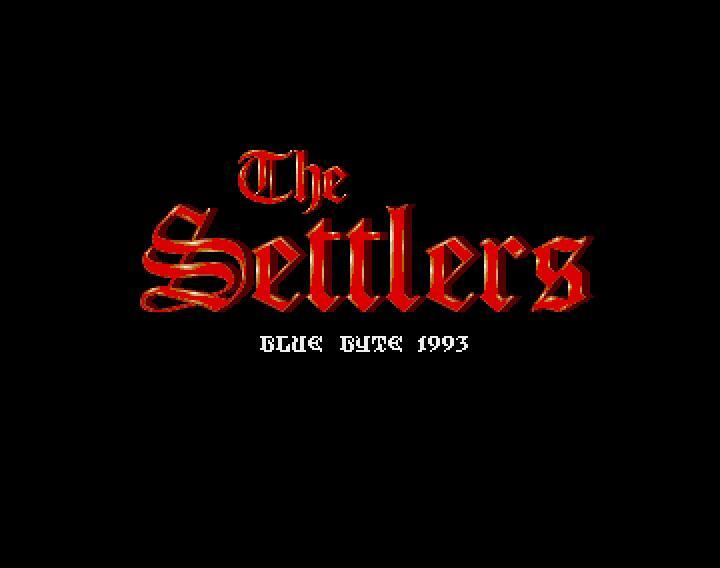 Fun and addictive The Settlers is a classic, and in my opinion has not been bested by any of its sequels so far, although one or two have come close. Spent many hours playing this and still do, and it’s certainly not a game for people with short attention spans, although being able to save the game at any point to disk is always an advantage. For those not wanting to sit through the intro sequence each time either the game can be loaded straight from disk 3. 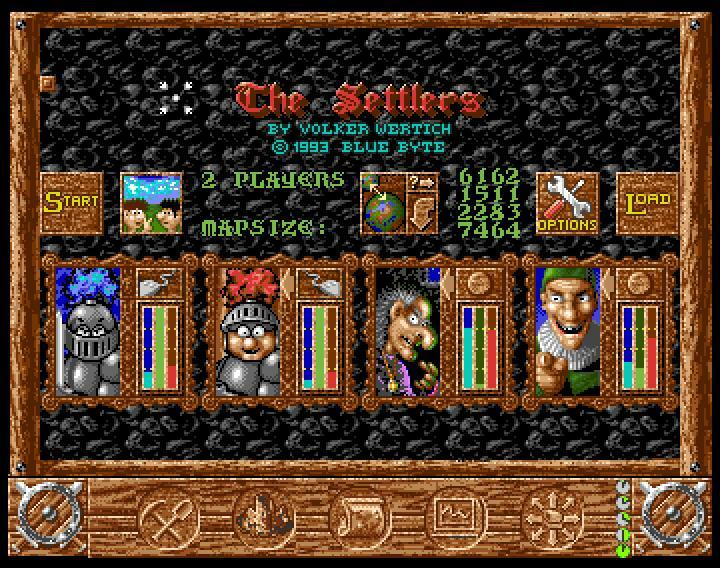 The Settlers certainly has a lot of comparisons with other games, but Blue Byte produced a game which had ‘Sid Meier’ playability and addictiveness, (anyone who has played Civilization and Pirates will know what I mean). Certainly in my top 10 Amiga games and proud owner of the big box version still. Too many hours sitting, playing and watching the little people go about their business. 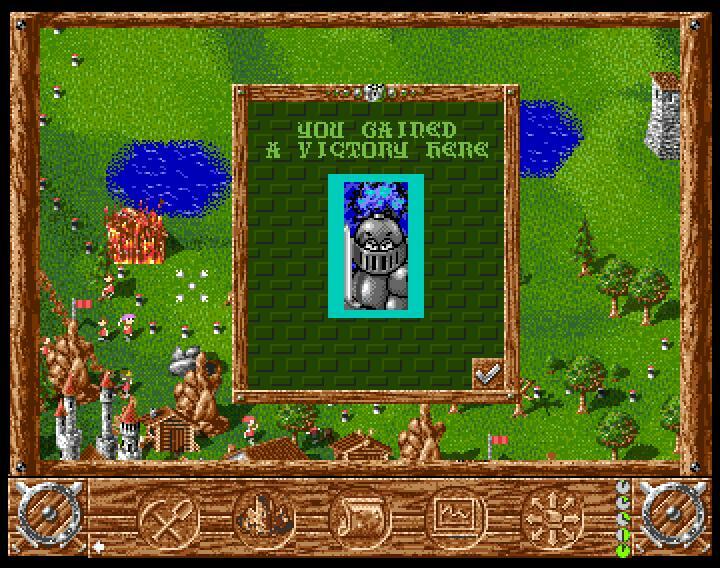 MartinUK – Best strategy game on the Amiga. Original, balanced, varied and extremely lovable, with a character and sense of fun all of its own. Each level was a significant challenge, and there were 32 of them, as well as the ability to make random missions and play 2-player. It also took full advantage of souped-up Amigas, with hard drives and extra memory allowing for bigger maps and extra sound effects. A real work of art. dan.hutch – Great game, spent many many hours over the last 10 years or so absorbed in this game – still playing even now. Timeless..
Masterblaster – Fantastic gfx, great music that goes on forever and incredibly detailed and well made game. The only let down is the fighting which is a little bit random. Me and my brother used to play cooperative with two mouses. One of the best games ever! 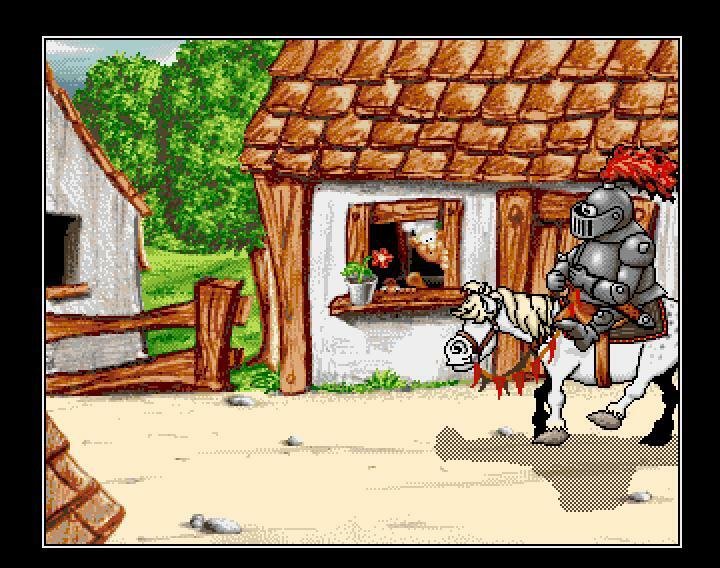 Without a doubt one of my favourite Amiga games. 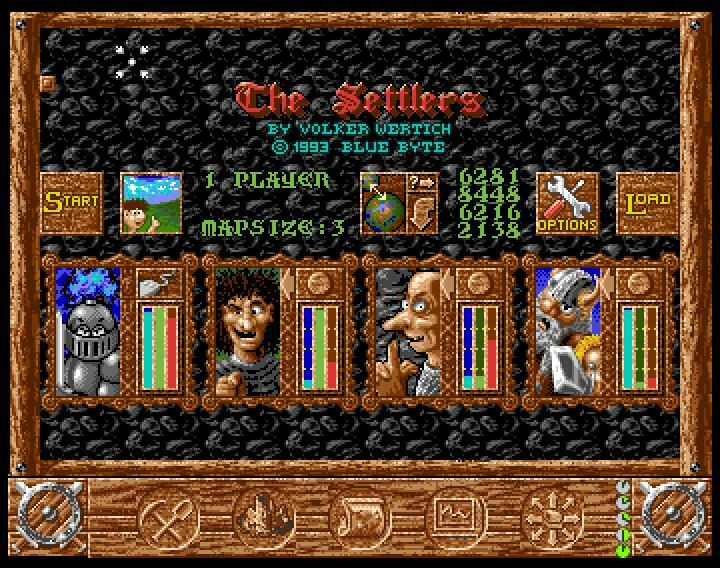 The follow up versions just don’t have the same feel and (annoyingly) I can’t locate this version of The Settlers on the PC. Is it out there?